When it comes to social media, many marketers are still struggling to measure the success of their efforts. In fact, Pivotcon’s State of Marketing Report suggests that 53% of marketers do not even make an attempt to measure success. So, what should social media analysis look like? In this post I explore two approaches to social media analysis and provide examples of how to look beyond the numbers and find value in social noise. It is a no brainer really. You can’t manage what you can’t measure. Dedicating time and business resource to social media means that you need to be clear on what impact it is having on your business. You need to provide success metrics and understand what value social media is providing to your brand. If you have a Facebook brand page you can get access to analytics to show how your page is performing, but there are many, many other tools available to help measure social media. Stashmetrics for understanding target group behaviour and influence. All of these tools provide some type of dashboard with analytics and nice visuals. This analysis can be either brand content performance or brand word of mouth created through user generated content (UGC), with some providing a combination of both. The tool you use depends on what type of data you want to analyse or what question you want to answer. However, I have to say that they are at varying degrees of complexity and usefulness. There are two key methods to approach social media analysis, through measurement (or analytics) or through contextual and behavioural analysis of the conversations (intelligence). 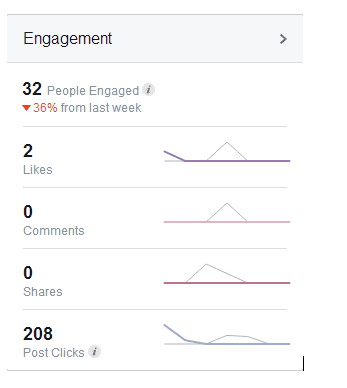 As we can see from the image it is useful to see how many times people engaged with brand content. All too often this is the main focus for social media analysis. But we know that customers do not just engage with brand content and branded social profiles, they talk about brands on social media. In a recent article, Dave Chaffey, reviewed some marketing applications of Pareto’s 80:20 rule, the Pareto Principle. In analysing social media data you regularly find that 20% of data is from people engaging with brand content or directly to the brand. The other 80% of social media data about brands in from people talking about the brand. Other views of measurement focus on the volume of buzz or sentiment around the brand conversation. A further level of analysis is required. 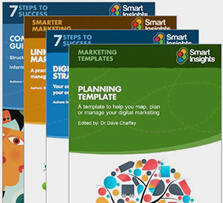 Analytics just provide the findings and these need to be turn into insight – the ‘so what’. I believe that social media data is not quantitative data but qualitative data on a quantitative scale. Undertaking a social media intelligence approach will provide insight into the context of the conversation and question the results of the analytical findings. Social media intelligence seeks to explore the qualitative and behavioural implications arising from social media engagement. Social media intelligence looks beyond branded pages, handles and hashtag to understanding the conversation around the brand. With a marketing focus, social media intelligence assists with understanding why people engaged with specific content, the context of the conversation about the brand and the behaviours driving engagement. Findings of a Social @ Ogilvy study suggested that 80% of a marketing campaigns reach is through social media but brands do not do enough to nudge customer behaviours to share and engage with the campaigns. The same study suggested that every brand has a unique set of differentiated advocacy drivers to nudge engagement behaviour. Conducting a social intelligence study will assist in highlighting a brands differentiated advocacy drivers by understanding how consumers talk about the brand, when they use the brand or products and how they experience and perceive brand attributes. This intelligence can be used to optimise and tailor social media content as well as assist with other types of business decision making. Instead of counting your number of friends and followers explore who they are. Are they your target audience, a competitor, a bot? If content posted at 3pm on a Wednesday receives high engagement consider if there are any other variables to provide insight into why. Look at analytics on hashtags with most engagement- think about how many times you posted using that hashtag compared to others. What is the context of the conversation? I don’t mean word or topic clouds here, think about your brands attributes and relate the conversation back to them. What does the conversation tell you? What language do your customers use when they talk about your brand? In what context to customers use your brand? For example, I recently explored social media engagement about Indeed Labs I found that customers were using their skincare products when getting ready for weddings. Using this insight, content can then be created to specifically target this audience searching for the perfect pre-wedding glow. Moving beyond the numbers can be difficult, as it requires insight frameworks and methodologies to be employed. Not everyone has the skills or experience to conduct analysis and some brands may not be ready to implement the findings. Being able to strategically develop campaigns and content from customer behavior will help brands answer the awkward ‘what does this mean?’ question that you can’t by only measuring likes and shares. Social media intelligence will not happen overnight but the journey is worth it. Thanks to Dr Jillian Nev for sharing her thoughts and opinions in this blog post. Dr Jillian Nev is the first Dr of Social Media in the UK. She is CEO at the social intelligence consultancy, Disruptive Insight. Disruptive Insight help brands transform digital noise into valuable insight for business. You can connect with Jillian on LinkedIn or Twitter.